RE-POSTED JANUARY 2013 -This is the fabulous Be Good Tanyas live at the Horseshoe Tavern, Toronto, Ontario, Canada back on the 11th April 2002. 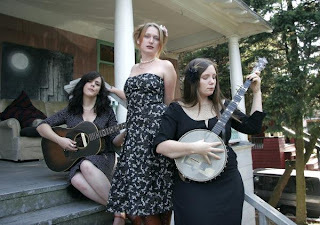 Formed in Vancouver, British Columbia, The Be Good Tanyas first played together at tree planting camps in the Kootenays region of British Columbia. They eventually played their first concerts in Vancouver in the late 1990s. They got their name from a song by music pioneer Obo Martin ("Be Good Tanya").